A child’s dream on a metal wall decoration ! The famous unicorn on a metal design sculpture for your interior! 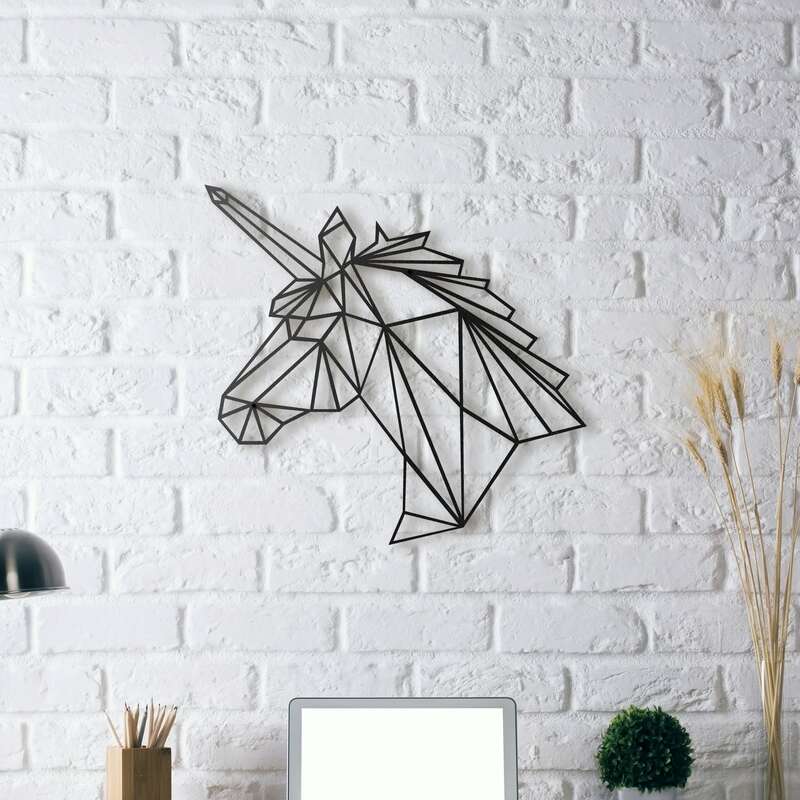 The dimensions of this design metal unicorn head are 50 x 50 cm. This design metal decoration is delivered free in metropolitan France and Belgium. 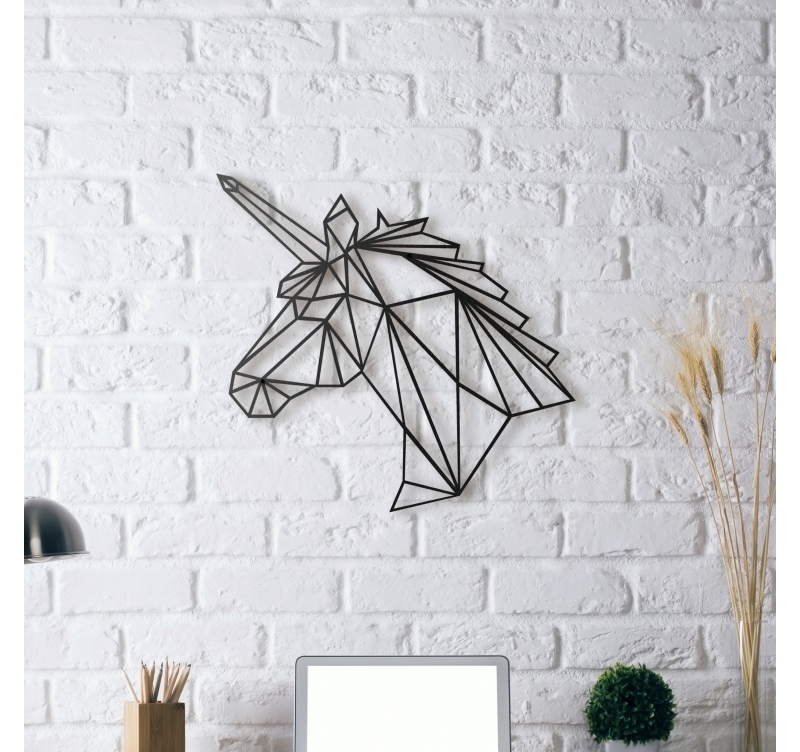 A horse with a horn… That is the best definition we could give to this Unicorn modern wall decoration. 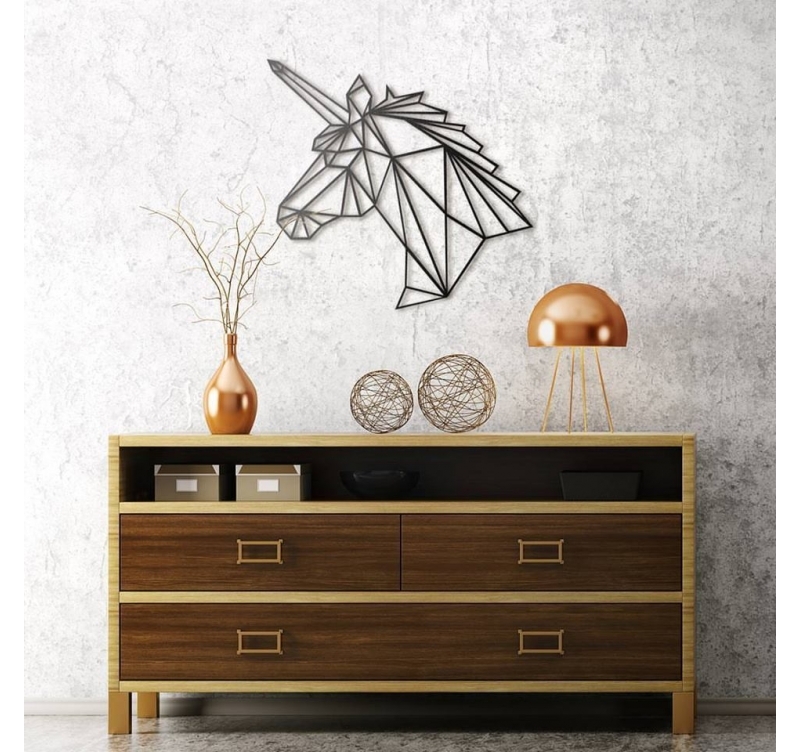 This metal deco animal head will be perfect to please your children who would dream of riding this mystical unicorn and fly the skies. This square-shaped metal design sculpture will be perfect for a bedroom or large lounge. All our Zen wall decorations are hand made by our creators and treated with a black finish for a long lasting quality. This unicorn metal decoration is wrapped in foam in a protective cardboard box for a safer delivery.